The Essence of Home: "God Jul"
Since I decided to decorate my Christmas tree in a Scandinavian (Swedish) style this year, I thought it would be appropriate to wish you all Merry Christmas in Danish. (Hence, my title.) As I've been studying this look, I've learned so much about this style. It's so much fun! Instead of Santa's (like we have here in America), they have Danish Elves. Swedish decor is often red and white with a bit of grey mixed in. They use a lot of natural materials from the outdoors and homemade ornaments. Since it is usually very cold and snowy outside, many of their decorations are made from wool, felt or sweater materials. It all gives the feeling of being warm and cozy inside. Images such as snowflakes, animals, and hearts are very popular. Here are a few images that I found envelop this look. here is my version of a Swedish Christmas tree. I added every one's initials on the tree and filled it with animals, snowflakes, mushrooms, ball ornaments and other "outside" themed objects such as hats and ice skates. I found most of these at Target! They were part of their Northern Horizons collection. This cute little sack came in a package I ordered from Dreamy Whites. It had butcher's twine in it, so I just painted the "25" on it and used it as a decoration. So, what do you think? Did I capture the "Swedish look"? I live in the south, so technically, I should be decorating with fruits and magnolia leaves. But, I'm just really drawn to this look this year. I hope I was able to share a little inspiration on this look with you today. It looks beautiful Kelly. The tree is so perfect and how fun that everything was found for a reasonable price at good ole Target! You know how much I love this look too....everything is pure perfection!!!! Absolutely STUNNING!!!!! Wow, Kelly, this looks amazing! Your tree is just gorgeous! 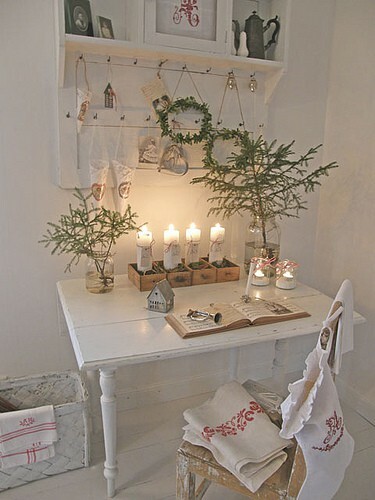 I love how you've implemented the Swedish look so beautifully into all of your decor! Your home looks wonderful! I LOVE it! and I also love that you are embracing this warm, simple, yet stunning style! Wow Kelly your tree looks so beautiful! And yes you captured it! Your home looks so pretty! Oh I love those little bags.I just ordered my third set of these lavender pillows! I LOVE these.I am keeping two sets for me :-) and giving one set away as a gift.They smell wonderful and she really fills these up!Love how you added the number! You captured it perfectly! I am very impressed! Your tree looks so beautiful and very festive! I love it! I recently have fallen in love with Scandinavian decor and now I can't seem to get enough of it! I can only hope that my Christmas tree turns out as beautiful as yours:) Beautiful job. You did a great job in recreating a Sweedish look! You certainly did Kelly, your tree looks GORGEOUS!!! LOVE this look! Beautiful, Kelly! You have got it nailed! Who knew Target would have what you were looking for?! Your home is the perfect backdrop for the Scandinavian look you are after. Forget the magnolia leaves and fruit!! Now you must find you some elves. Your tree looks fabulous. 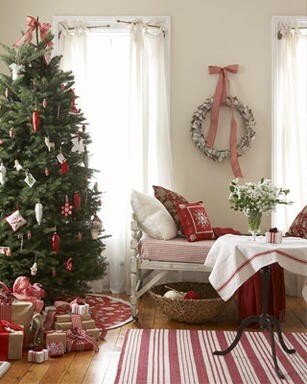 You know I love red and white so this style would work for me if I could afford to change our home. But, no. Yes! It looks very Swedish! I think you captured the Scandinavian look perfectly. It's lovely - fresh, clean and bright. Oh yes Kelly!! You have mastered the look. I love the reds and whites. I think your elves are called Nisse. I think someone on Etsy makes them. I just do not remember who. Beautiful tree Kelly. I think you amaze me. I loved your home before you changed your look and now it is beautiful in a whole new way. You've definitely captured the swedish look. 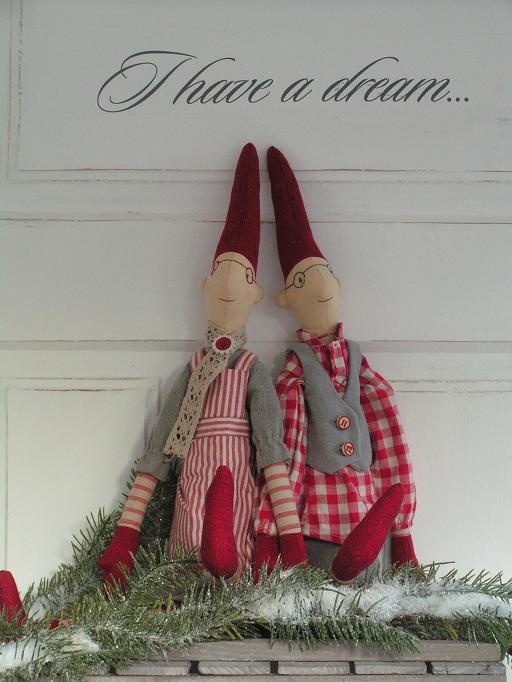 I adore those little elves and they are on my list to find too. Lovely, Kelly. The pops of color make it fun and family friendly, too. The little elves are the cutest! You have certainly captured the look! Very pretty! Love those elves as well. Your home is so cozy. Yes Ma'am I say you nailed the look!! Very charming Kelly.. warm and cozy. Oh Kelly I love it all! Your tree is fabulous. You have completely captured the look you were after. Those elves are the cutest! It all looks lovely, Kelly. We decorate with a lot of Danish elements because my husband is Danish. We say 'Glad Jul' which is pronounced like 'Glay-a Yule' and garland the tree with flags. The only thing we don't do is put real candles on the tree - too dangerous! Your Swedish Christmas is beautiful and festive. I love how it tuned out. I think you did a wonderful job! I love all the red and white, makes me feel cozy. You have absolutely hit it out of the park! This looks so authentic, plus it is warm and welcoming. Just gorgeous! Adorei o teu blog, parabéns. Já sou tua seguidora, quando tiveres um tempinho visita o meu e se gostares participe. Oh Kelly, yes you did...your home is perfect for the Swedish Christmas look and feel....your tree is beautiful and I love looking at all of your creative touches...Looking forward to more of your "Swedish Christmas"....Have a great weekend!! Hi Kelly! You did! You did! Oh, I'm just amazed how you did all of your research and started a whole new theme for your home. It's so pretty and reminds me a lot of Norway too. We've visited the country three times and some of the same elements were all over the place. Those little elves are darling! Thanks for popping in to se eme. Your tree is beautiful..Very festive!! I think you captured it perfectly, Kelly! Your tree is beautiful and all the red, white, and green touches around your room are so lovely. My goodness I have been so behind. You house is just gorgeous all decked out for the Holiday Kelly. What a pretty tree. 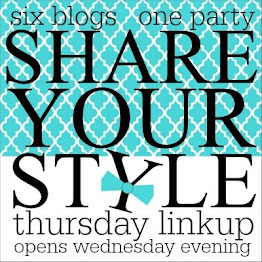 I am sooo behind on blogs that I had to really look to find this post! I remember seeing the thumbnail photo of those adorable elves and just had to come back to see them. 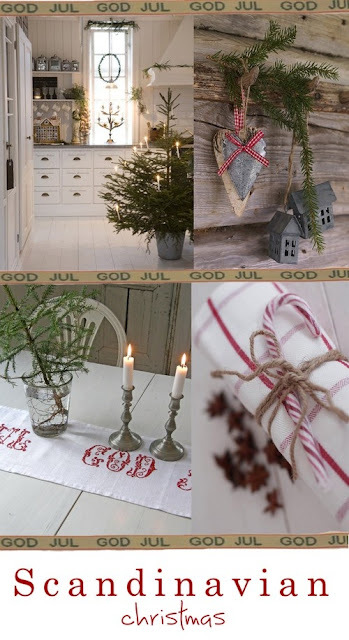 I'm loving your Swedish Christmas theme and your tree is gorgeous! On the Mend and a Wonderful Surprise!